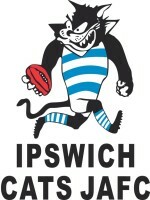 Welcome to the Ipswich Cats! 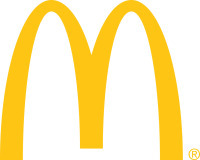 How can you participate in our club? NAB AFL Auskick: the best start to your child's AFL journey - where your 5-12 year old boys and girls will learn and develop the fundamental skills of the game in a fun, safe and exciting environment. Roy's Junior Footy Program: a fun program for 5-7 year old boys and girls that considers the maturity level of their motor, cognitive, social and emotional skills to further learn and develop the fundamental skills of the game. Junior Football: for boys and girls aged 7-11, junior footy is the first stage to participate in a team competition. Children play under the AFL Junior match policy, providing modified rules including modified ground sizes, team numbers and the laws of the game to introduce skills of the game to our boys and girls in a low pressure environment. 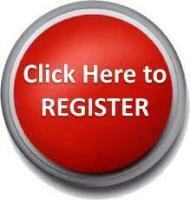 The emphasis is not on winning but the development of FUNdamental movement skills, basic game specific skills and maximum participation in a fun and safe environment. Youth Football: for boys and girls aged 12-17, An ideal progression from either NAB AFL Auskick or AFL Junior, AFL Youth provides boys and girls with the opportunity to play in a graded competition within a club environment. Fun, fast and skilful, AFL Youth is a chance for boys and girls to play football with their mates and establish new friendships, with a distinct focus on team building. Youth girls have the opportunity to play in mixed teams up until the age of 14, or can play in female-only teams from U11 up. 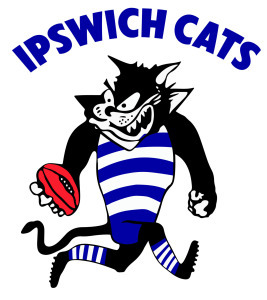 Senior Football: Ipswich Cats currently play in QFA Division 5 on Friday nights. This friendly comp is open to men from age 18 and up. Women's Football: The next step after U17 youth girls football, women's AFL is available to women of all ages. Master's Football: With a focus on fun, AFL Masters is for men aged 35 and over. Fortnightly games are played in a social environment with modified rules to ensure fun and safety of players. Coaches: Our club welcomes enthusiastic members of the community who would like to help us out by volunteering their time to coach any of our teams - all our coaches are put through an AFL coaching course to ensure we offer our players the best AFL experience we possibly can. Umpires: the club is always on the lookout for anyone in the community who may like to become an AFL umpire. All our umpires are AFL accredited and attend training. Volunteers: there are a number of volunteer opportunities within our great club, including committee roles, coaches, canteen, team managers, goal umpires, . Anyone over the age of 18 must have a valid blue card (or exemption card) to ensure the safety of our players.